New CEO has worked for 19 years with this retailer. 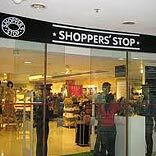 Shoppers Stop has appointed Salil Nair as its new chief executive, and it is effective from next month. Nair is currently COO of this department store chain.